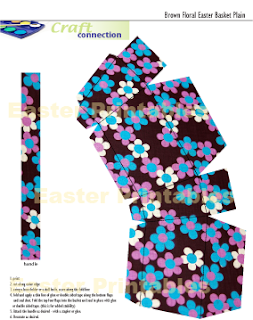 A great set of printables for Easter crafting. There are six different pages of templates. Two decorative Easter baskets - one with a pastel pattern, they other with a chocolate floral pattern. 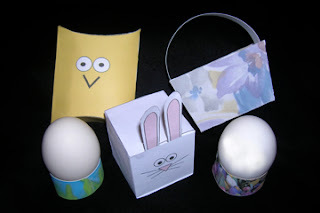 Another blank Easter basket is included for you to decorate the surface as you desire. Six egg holders in two designs - grass and tulips. An adorable bunny rabbit box for hiding your candy in. And finally the cutest little peep pillow box for gift giving, jelly bean collections or just about any thing you desire. All six templates are available for $1.00 total. Use the button below to order yours now!